A bold statement, clear and uncompromising – this is the first sentence of the open letter regarding climate change, signed by 375 of the world’s leading scientists last week. The letter points to the clear evidence of climate change and its cause, the effects climate change is having now and the threats this change brings – environmental, economic and social. But there are many others who do. Whether they are reputable or not is a matter of opinion and while it is easy to dismiss the transparent and polarised arguments of high profile politicians like Trump, it is far more difficult to tackle the detailed logical arguments of those in industry, whose need to protect vast investment remains irreversibly at odds with the science. But of course it is not quite so simple. 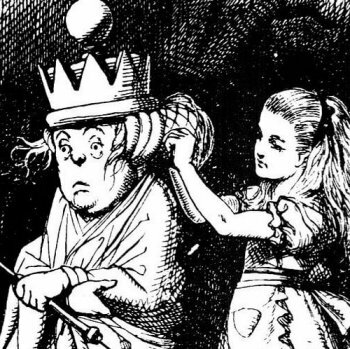 An interesting article written recently by Graham Readfern for the Guardian, examines a research paper titled: The Alice in Wonderland mechanics of the rejection of (climate) science: simulating coherence by conspiracism. The paper goes on to examine the disjointed and often confused nature of the arguments presented by disbelievers and talks of ‘identity-protective cognition’ – a psychological state which allows the individual to believe in a theory, despite obvious flaws or overwhelming public rejection of the same idea. The challenge then for those in power, if we are to adapt to climate change, is perhaps more complex even than many realise. Not only does it require explanation and clear presentation of the science to create international agreements, CO2 quotas and the like, but an understanding of the psychology and an effective strategy to influence those who will otherwise continue to deny basic science and stall the process, regardless of the evidence. Readfern concludes, asking whether detailed examination of the contradictory arguments made by many climate change sceptics will make any difference. Perhaps not. But perhaps if we understand just a little of the psychology behind them, it will inform our strategy, ensure the right tactics are deployed and as with any communications programme, enable us to influence the people that matter more effectively. And in doing that, there is a chance that we may be able to mitigate, not just adapt to the very immediate reality of climate change. Find out how Pelican Communications can help you to develop a clear strategy and deliver communications campaigns that make a measurable difference.